I think I finally understand Probiotics… So now what’s Prebiotics? Are they the same? 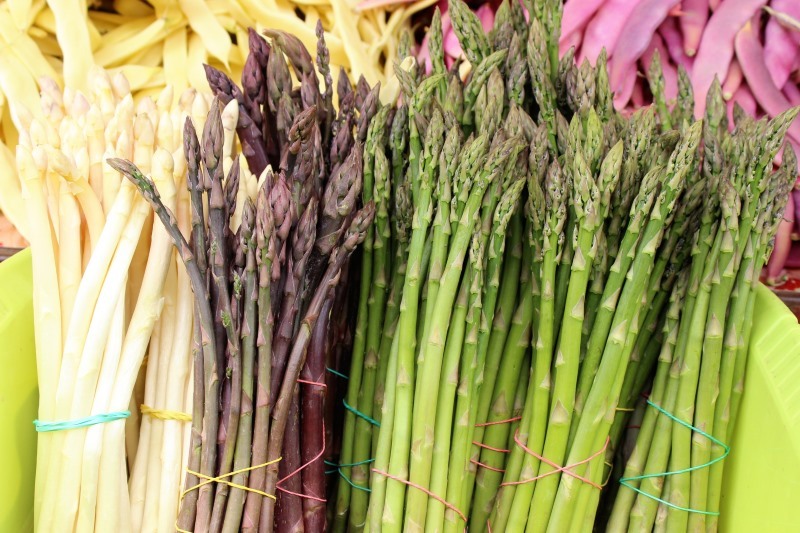 Let’s dive in and understand why you need BOTH prebiotics and probiotics. Our gut, also referred to as the microbiome or digestive tract, is host to millions and millions of bacteria. Bacteria outnumber our cells by a factor of over 10:1. These microorganisms play a major role in our health, both physical and mental. 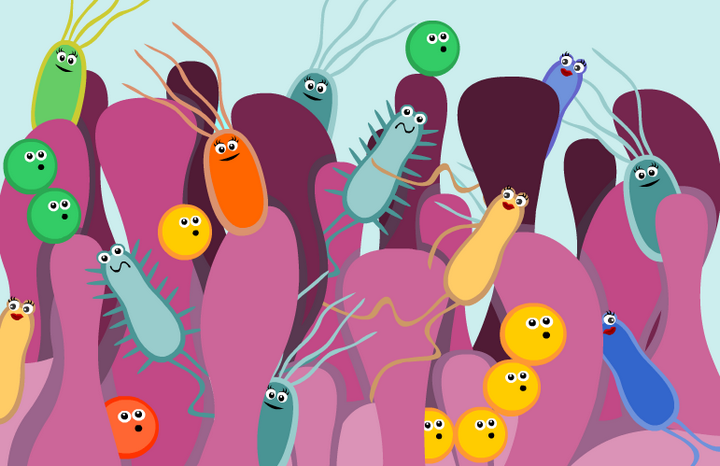 You may have a basic awareness that the microbes in your gut affect your digestion of food. While that is so, their influence extends far beyond digestion to include your brain activity, heart effectiveness, skin, mood, weight… and the list goes on and on. Most of us have heard of probiotics – live bacteria found in certain foods or supplements. However many of us have not heard of prebiotics. So let’s take a closer look at what probiotics and prebiotics are, and the role each plays in keeping our guts healthy and productive for us. 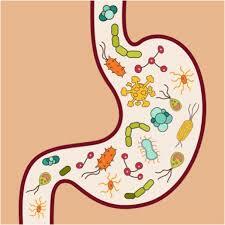 Probiotics contain live bacteria that are good for your health, especially your digestive system. Our gut bacteria help with a variety of biological tasks. Good bacteria help protect you from harmful bacteria and fungi, they signal to your immune system and help regulate inflammation, and they also provide important nutrition to the cells lining your digestive tract. Yogurt – with live cultures and set in the container you buy it in. Look for full fat, live cultures, no sugar, and no gelatine. I buy a full fat Greek Yogurt. Miso – or miso soup – fermented from rice/barley/other. It is a mainstay of Japanese medicine and cooking. Makes a quick and wonderful broth base. Fermented Vegetables – Cabbage can be fermented to create Sauerkraut or Kimchi, other vegetables can be fermented also and the humble sour pickle as well as olives. These all make a great addition to a meal. The nice thing is you wind up with great added vitamins like Vitamin B, A, E and C.
Kefir – fermented dairy, a bit like runny yogurt. Also, good quality butter milk can be classed as probiotic. Kombucha – fermented black or green tea. Microalgae – Super food which are ocean based plants like spirulina, Corella, & Bluegreen algae. Great added to smoothies. Apple Cider Vinegar – (ACV) I love this product and use it in my cooking as well as my morning kick starter. Look for raw, unfiltered, with the mother on the label. Now we are clearer on Probiotics, let’s have a look at prebiotics. Prebiotics are substances that come from complex carbohydrates – the fibre – that humans can’t digest. However, the beneficial probiotic bacteria in your gut can happily eat this fibre. So lets start feeding those millions of friendly tummy bugs a great diet. Based on a recent article by Dr Axe, there are 7 benefits for including prebiotics in our diets:. 1. Better Gut Health and Improved Digestion – Prebiotic compounds help balance harmful bacteria and toxins living in the digestive tract, which has numerous health implications, including improving digestion. 2. Enhanced Immune Function and Cancer Protection – The “prebiotic effect” has been associated with a reduction of the concentration of cancer-promoting enzymes. 3. Lower Inflammation – Prebiotics can help lower inflammation, which is one of the root causes of diseases, including our nation’s number one killer: heart disease. People consuming more prebiotics, and in general eating a high-fiber diet, tend to have healthier cholesterol levels and lower risk markers for cardiovascular diseases. 4. Reduced Risk for Heart Disease – Prebiotics balance the body’s electrolyte and mineral levels, including potassium and sodium, which are responsible for controlling blood pressure. 5. Help with Weight Loss or Maintenance – Higher intake of fibre are linked to lower body weight and protection against obesity. 6. Protection of Bone Health – A study published in The Journal of Nutrition found that prebiotics enhance the absorption of minerals in the body, including magnesium, possibly iron and calcium. All of these are crucial for retaining strong bone bones and preventing fractures or osteoporosis. 7. Hormone Regulation and Improved Moods – Research regarding the “gut-brain connection” is still in its infancy, but it’s becoming clear that mood-related disorders like anxiety or depression are highly tied to gut health. Your gut helps to absorb and metabolize nutrients from the foods you eat that ultimately are used to support neurotransmitter functions that create the hormones (like serotonin) that control your mood and help manage stress. In conclusion, getting fibre and prebiotics from whole, real foods is always going to be your best option. Creating a healthy balanced diet should include both probiotics – and prebiotics can help you to have the right balance of healthy gut bacteria, which in turn helps you, maintain or improve your overall health. Supplementing with a quality probiotic supplement that also includes prebiotics can be beneficial too, but this shouldn’t take priority over eating a balanced, healthy diet. My advice, just eat real/whole food, eat some raw to increase your prebiotics, and eat some fermented foods to boot your probiotics. Cheers to your very good health! A healthy gut is a happy gut! Feed it whole and real food and reap the rewards of great health! Patricia Frederick is a Certified Health Coaching and Culinary Nutrition Expert and a Cordon Bleu Chef offering 1:1 services. My mission is helping guide my clients to live a healthy, happy, balanced life. Services include 1:1 coaching and cooking classes, group cooking classes, and personal chef packages. Patricia is based in Sydney Australia and has over 16 years’ experience creating wholesome nourishing food and sharing this knowledge. Contact her at patricia@warmlynourished.com.au and feel free to visit the website for more information www.warmlynourished.com.